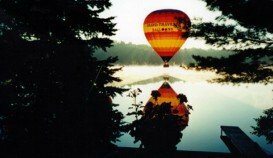 Τhe Little Sturgeon River, part of the Sturgeon River, is a 12.3 mi/ 19.8 km long river that runs at the outlet of Corey Lake, north from the small town of Wolverine to empty into east of the outlet of Burt Lake. 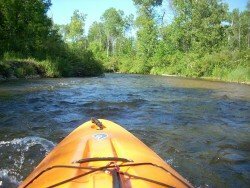 The Sturgeon River is considered to be the faster river in Cheboygan County and is known for carrying more water by volume than any river in the state of Michigan. 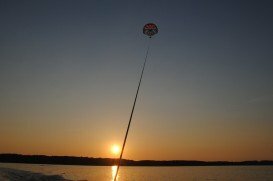 Grand Traverse Bay is a 32 mi/ 51km long and a 10 mi/ 16 km wide bay, divided in two parts by the old Mission Peninsula. 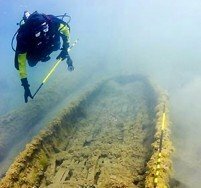 The Grand Traverse Bay Underwater Preserve, founded in 2005, holds the wrecks of many ships lost in the area the previous years.